Nobody says – “That must be a dog because it has 4 legs, a tail, and big teeth.” You just know what a dog looks like. You must develop a similar ability to just know what an elm or a spruce looks like. That comes with practice. In order to be able to practice, though, you have figure out what species you’re looking at to begin with. This section will try to give you some tools to do just that. 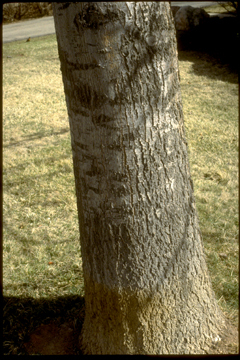 Trees have many features that aid in identification. 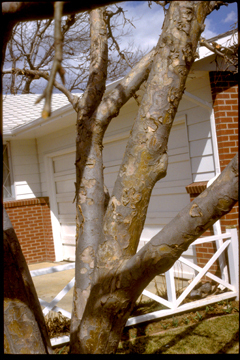 Bark color, bark texture, size, shape, twig thickness, leaf appearance, leaf type, seeds and fruit, and so on.The most obvious identifier is the leaf. 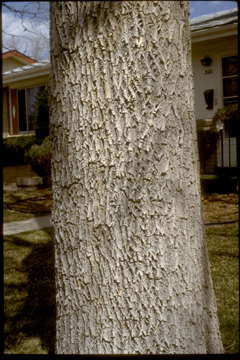 Unfortunately, leave aren’t available in the winter so we have to look at other characteristics for winter identification. The first thing we look at, in the winter is bud attachment. When the buds are right across from each other on the stem we call the attachment opposite. 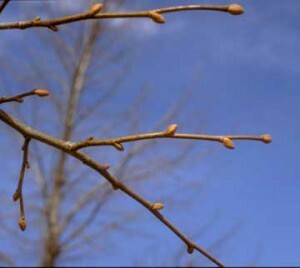 When the buds are staggered up the twig like footsteps we call the attachment alternate. 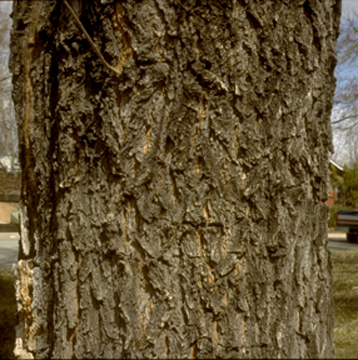 The type of bud attachment can help you determine the group in which the tree belongs. For example, consider the samples shown on this page – ashes and lindens. 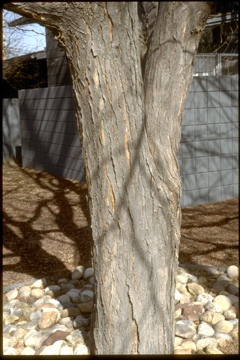 To a beginner, the bark on ash and linden could look very much the same – so you might think one is the other. 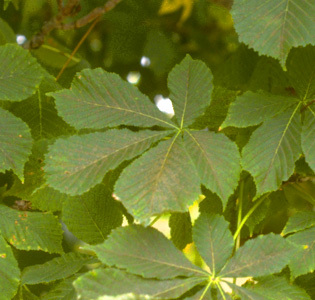 However, ash trees have opposite buds and lindens have lindens have alternate buds. If you look at bud attachment, you can’t confuse one with the other. 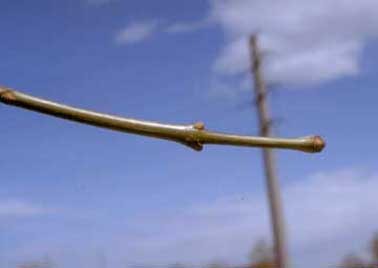 The stem of a leaf is called a petiole. 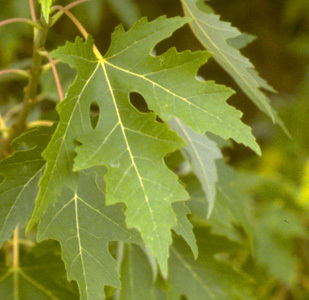 When just one leaf is attached to the petiole, the leaf type is called simple. 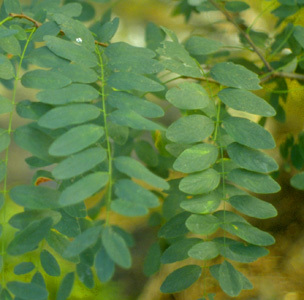 When more than one leaflet is attached to the petiole, the leaf type is called compound. Conifers can be identified as members of groups. Check if there are needles or if there is scale like foliage. If there is scale like foliage, the plant is a juniper or arborvitae. If there are needles, they are most likely pines, spruces, firs, or Douglas firs. Of the trees with needles, you can tell pines from the others because the needles are grouped in bundles of two or more by wrappings called fascicles. 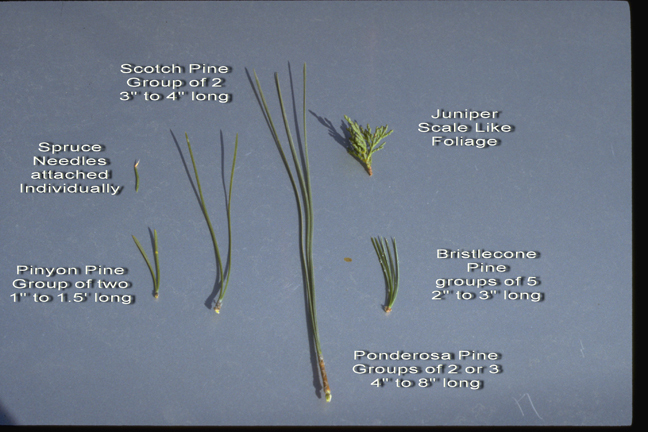 Spruces, firs, and Douglas firs all have needles which attach individually to the twigs. Other Evergreens found less commonly in the Colorado front range are yews, cypress, hemlocks, tamaracks, and larches. 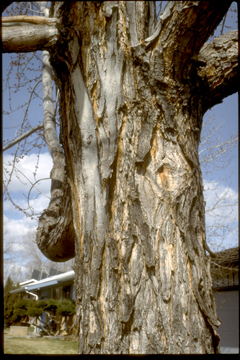 True cedars are not native to North American and aren’t usually found in Colorado.